Book Review - "Love in the Balance" & Giveaway & Facebook Party! Enter Today - 3/18- 4/3! Regina Jennings is celebrating the release of Love in the Balance with a Kindle Fire Giveaway and a Facebook Author Chat Party on 4/4! "Love in the Balance" is Regina Jennings second novel ("Sixty Acres and a Bride" is her first and I recommend you read that first so you do not miss out on the any of the series!) and it is a fun and sweet historical fiction read! Jennings style of writing is great as I was immediately drawn into the story and into the characters' lives. The characters are also so real, meaning I could relate to them and empathize with them throughout the story. Molly is frustrated as she has been waiting for Bailey to get his act together so she can enjoy her life with him and finally have her "happily ever after. "I found myself cringing and laughing out loud during the very first chapter during the "confessional" time at church and this just kept me reading and reading as I was completely invested in the story and Molly's life! Molly's life gets more exciting and more complicated, as does her heart and mind, when she meets Edward and she is torn between which man to give her heart to. This is a great story that held my attention, kept me guessing and transported me back in time and to the state of Texas. I am looking forward to more novels from this author! To read reviews posted by others go here! "Shattered" is book 2 in Dani Pettrey's Alaskan Courage series and once I started reading I did not want to put it down and now I cannot wait to read book 3! This book picks up right where book 1 "Submerged" ends; be sure you read that one first as not only do you not want to miss out on the excellent book, but also you will want to spend as much time as possible with the McKennas! Reef McKenna has returned home, not to see his family, but because of a competition. However, Reef is suddenly framed for murder and the evidence against him is stacking up. While Reef has beeen away from home for a few years and he has been into trouble in the past, Piper knows that her brother is innocent and no way could he be responsible for murdering Karli. Deputy Landon Grainger is like family to the McKennas, yet he sees the evidence against Reef and knows the outcome does not look good. When Piper decides to do some investigating herself, Landon is forced to make decisions, both personally and professionally. Suddenly the entire McKenna family plus a few extras find themselves following a trail that hopefully will prove Reef's innocence. I loved this book and stayed up to finish reading it as I could not put it down and I had to know the full story about Karli - her life and why she was murdered! Dani takes the reader all over with the McKenna family tracking down leads and possible reasons as to why Karli was murdered. I was kept guessing until the end as there are so many theories and possibilities as to why Karli was murdered and who was behind it. Alongside of this main storyline, there are others going on such as the relationship developing between Landon and Piper as well as Gage facing someone from his past and also his relationship that is developing with Darcy. I am looking forward to book 3 which comes out October 1 (cannot wait!) and spending more time with Gage and Darcy as well as the entire McKenna family! Dani Pettrey has become one of my "must-read" authors! 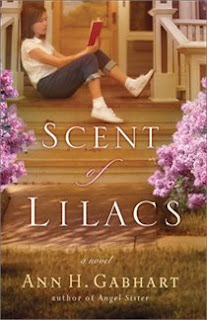 Book Review - "Scent of Lilacs"
"Scent of Lilacs" is book 1 in Ann H. Gabhart's The Heart of Hollyhill series and it will transport the reader back to the 1960's and in the midst of a young teenage girl uncovering family secrets. Jocie has a good life with her dad and aunt; however she is always missing her mom and sister who left the family years earlier. During this summer of Jocie being thirteen, she uncovers secrets, prays for a dog and a dog finds her among other prayers being answered as well and grows and learns about herself. I really enjoyed this book and do not want to give away too much! Jocie is such a fun character to read about as are all of the others including Aunt Love, Zella and Leigh. David, Jocie's dad, is a wonderful dad to her as he is trying to find his niche as a pastor and trying his best with raising Jocie. Jocie is inquisitive, fun-loving and honest and finding herself. This book was first published in 2005 and it is being rereleased. If you are a fan of Gabhart's work or contemporary fiction do not miss out on this book! 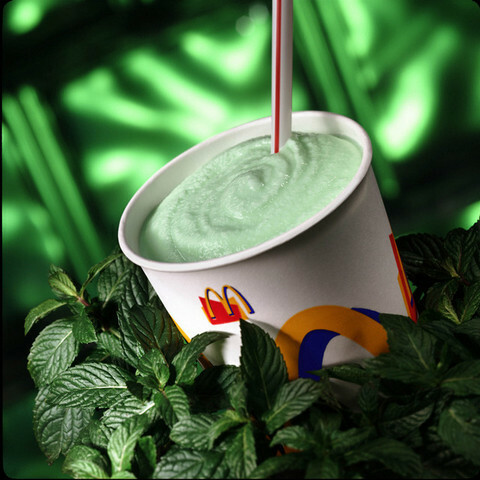 Growing up St. Patrick's Day to me meant Shamrock Shake season - this cup of green shake deliciousness was a highlight of this time of year for me! I do enjoy them and look forward to a shake every March. But now it is also dressing my kids in cute little clothes for the holiday and making special treats as well as burning my Yankee Candle Lucky Shamrock candle. This year thanks to Pinterest, we tried two recipes that were hits! The first recipe we tried were "Lucky Charms Treats" - rice krispie treats, instead of being made with rice krispie cereal, it uses lucky charms cereal. My kids had a great time making them and trying them! I found the recipe on Pinterest on this lady's blog found here (really cute blog - I can't wait to have the time to check out more of her posts!)! We doubled the recipe and made them in a 13x9 pan. The second recipe once again had Lucky Charms cereal in it! This recipe I found through Pinterest and on a different, yet just as great a blog! You can find the recipe here! These are so delicious!!! The actual cupcake has cereal in it (not the marshmallows from the cereal though) and sour cream. The frosting is great (of course it's frosting!) and is made with marshmallow fluff! Book Review - "Love in a Broken Vessel"
Mesu Andrews' latest Biblical fiction novel, "Love in a Broken Vessel," is once again a masterpiece just like her previous novels! Hosea is commanded by God to marry a prostitute in order to show Israel's relationship with God. Gomer has been living a hard life and has changed since Hosea knew her during their childhood and she is hesitate to leave with Hosea; yet it would mean her escape from the path her life is currently on. Are these two too different to find a way together or will they both listen to God and follow His direction? Mesu Andrews does an incredible job with writing and bringing Biblical accounts to life! The story is kept intact and filled with Biblical truth while some fictional details are added in based upon research and sticking to the Biblical foundation. I feel like I know so much more about this account now and am excited to go read the book of Hosea as I have this story fresh in my mind. This is an excellent story and one not to be missed if you enjoy Biblical fiction! Book Review - "Swept Away" PLUS a Giveaway and Facebook Party! Enter Today - 3/11- 3/28! Mary Connealy is celebrating the release of Swept Away by giving away a $250 "Swept Away" Vacation Package and hosting a Facebook Author Chat Party! Enter today by clicking one of the icons below. But hurry, the giveaway ends on March 27th. Winner will be announced at the "Swept Away" Author Chat Party on March 28th. Connect with Mary, get a sneak peek of the next book in the series, try your hand at the trivia contest, and chat with readers just like you. There will also be many fun giveaways -- gift certificates, books, and more! Don't miss a moment of the fun, RSVP today. Tell your friends via FACEBOOK or TWITTER and increase your chances of winning. Hope to see you on the 28th! Mary Connealy's book 1 in her Trouble in Texas Series, "Swept Away," is full of enjoyable characters to read about and spend time with, suspense, adventure and romance. I enjoyed this book right from the start! Ruthy is not happy with her current living situation and is fearful at times as well and has lived a hard life. She plans to escape when she gets the chance during their trip; however she does not expect it to happen so quickly or exactly how it does occur. Luke is on a mission, yet once he spots Ruthy, he knows that he must take her along and he takes the time to help her instead of just focusing on his own life. I really loved both Ruthy and Luke as they are both different, yet so alike and I love how there relationship developed throughout the book. Mary writes with such detail that the scenes are so vivid and the emotions so real and strong that I could imagine actually being with the characters in the story - riding along on the horse, hiding in the closet in Dare's office the first night that Luke and Ruthy are in town and traveling down the lane to the ranch. This is a book that really will sweep you away to another time and way of life in Texas to a town of very few women, yet filled with loyal friends, and also those who will betray you, love and adventure. Book Review - "The Tutor's Daughter"
Julie Klassen's latest historical fiction novel, "The Tutor's Daughter" is filled with suspence and romance and will keep you hooked on the story and involved in the characters' lives through the very end! Emma is trying to help her father as he finds himself without no students at his boarding school and unable to pay bills. Emma writes a letter to the Weston family and receives a letter in return requesting that she and her father come to tutor the younger two sons. However, Emma has a history with the older boys, Henry and Phillip, as they used to attend her father's boarding school. When Emma arrives she realizes that not all is how it appears to be as her arrival is a surprise. Emma finds herself in the midst of an interesting family with mysterious things happening and secrets that are being discovered. Emma is not sure to trust and whom she can trust her heart with. This is an excellent story that transported me back in time to early 1800's and into a world so different from today. I liked Emma right away, she is determined, devoted to her father and willing to take risks, but also cautious. This is well-written historical fiction and if you have enjoyed other books by Julie Klassen, then this is a must-read for you! Book Review - "The House that Love Built"
Beth Wiseman's latest novel, "The House that Love Built," is a book that you will want to keep on reading once you start until you reach the very last page. I have only read Amish fiction by Beth Wiseman and I was curious to read a different genre from her. I have enjoyed Wiseman's novels and "The House that Love Built" is one that I enjoyed so much as well! First of all - I love the cover of this book! The cover caught my attention as I love the scene on the cover, looking down the driveway toward the house, just love it! I really enjoyed "spending time" with the characters in this book and watching the relationship grow between Owen and Brooke. I felt as if I was there with them in the hardware store and discussing the home and working on it together with them along with trying to figure out the mystery. Both Owen and Brooke fight their feelings, but they know that they cannot fight what God is doing in their hearts and in their lives. This is such a touching love story and such a great message of forgiveness which can be a struggle, but so important. Book Review - "Dandelions on the Wind"
I am falling in love with her new Quilted Heart series as well! "Dandelions on the Wind" is novella 1 in Hodgson's The Quilted Heart series and tells Maren's story. Maren is a mail-order bride to America; however she finds herself without her groom and wants to return home. When this does not work out for Maren, she finds herself living on a farm with a woman and her young granddaughter. As time passes, Maren finds herself intertwined in their lives and she is not willing to just up and leave and return home. Also, Maren's sight is getting worse and she is struggling to be at peace about this. When Wooly returns home after being gone in the war to reconnect with his daughter, Maren finds herself drawn to him as well, but also finds a reason she may return home. However, where will Maren truly call home home and find love and peace? This was a quick read, but although it was short, it was not lacking at all in terms of the story and character development! Maren is such a strong character and I liked her immediately. I liked Gabi and Mrs. Brantenberg right away as well and love the roles that she and her quilting played in the story and to help Maren. I am looking forward to reading the the other novellas in this series! I have been eagerly awaiting the release of the third book in Janice Cantore's Pacific Coast Justice series and "Avenged" is here and will be released on April 1st! I loved "Abducted" and "Accused" and this one did not let me down in the least bit! Carly and Nick finds themselves in the midst of gang fighting and tensions are running high between rival gangs. However, this is not the only danger and problems they are facing as Carly's reputation and career is put on the line when a reporter makes things difficult for her. Carly is struggling overall, and must trust on God as she has been learning to do over and over again. Carly and Nick return in this fast-paced novel and I fell in love with them all over again and found myself rooting for both of them both in their professional lives as well as their personal lives. This is a must-read book for Cantore fans and suspense readers both! Cantore's style of writing makes it so easy to get into the story and involved in the characters' lives. This is one book you will be staying up late to read and finish! Book Review - "You're Made for a God-Sized Dream"
Holley Gerth's latest Christian Living book is now available and one that women do not want to miss out on! "You're Made for a God-Sized Dream: openiong the door to all God has for you" is just what each of us ladies out there needs in order to encourage us and give that little extra push to discover how dreams and go after them. Each chapter focuses on a different aspect that may hinder us from pursuing our dreams or really diving into going after our dreams. Different things may interfere, such as our thoughts and ways that we may sabatoge ourselves. Or we may need to really take time to think and pray in order to know that it is the right time to take this step. Holley is here on every page sharing her thoughts, stories as well as others' stories in order to encourage us and help us along the way to discovering our dream and going for it! I love Holley's style of writing, she is so encouraging and just so real. The layout and style of the book is so inviting as well and made me want to start reading this book as soon as I received it! I love the "Go Deeper Guide" that is included at the end of each chapter as well as the "letters" that are included throughout. If you feel like there is something missing in your life and you are holding yourself back, then this book is a must-read, you will not regret it! Book Review - "Moonlight Masquerade"
"Moonlight Masquerade" is a Regency Romance written by Ruth Axtell. This is the first novel I have read written by Ruth Axtell and it will not be my last! I enjoyed this story of Rees and Celine and am looking forward to her next novel coming out! Lady Celine Wexham is French and married a British Earl whom has passed away. Rees Phillips works at the British Foreign Office and is assigned to work as Lady Wexham's butler, known as MacKinnon, in order to spy from within the household and discover where Lady Wexham's loyalities lie and whom she is spying for. The longer that Rees is in the home, the more information he is gathering, but the more not only is his head getting confused, but his heart as well as he is drawn to Lady Wexham and finds his desire is to protect her as he is falling in love with her. I loved this book! I was kept in suspense as to trying to figure out who was on what side as there are so many minor characters in the story who really do play large roles as far as the plot and the situation that Lady Wexham finds herself in. I greatly admired both Lady Wexham and Rees/MacKinnon as to how they interacted with others and how they did not care what others thought. I really loved how the scenes were written when Celine was reading Rees when he was recovering after being shot and how Rees shared his faith with Celine. I am looking forward to the next novel and spending time with Megan and Jessamine and hoping reading more about the characters in this novel. Book Review - "A Matter of Trust"
Lis Wiehl and April Henry are back with a new book and a new series: "A Matter of Trust," the first Mia Quinn Mystery. I loved all four books in the Triple Threat series and was disappointed when they ended that there were no more; however this latest book by these authors have taken care of that! Wow - what an excellent start to this series and I am looking forward to the next book! Mia has so much going on in her own personal life and her professional life gets so much more complicated as well. There are so many story lines going on just like in the Triple Threat series and I love this about Wiehl and Henry's writing. This really pulls the reader into the story and the characters' lives as well as getting them really involved and engrossed in the story. I highly recommend this book to fans of the Triple Threat series and anyone who enjoys a well-written, totally engrossing mystery! Book Review - "Firefly Island" - and a chance to win! Enter Today | 2/25 - 3/19! Lisa Wingate is celebrating the release of Firefly Island with an iPad Mini giveaway and a fun Facebook Author Chat Party (March 19th). I have enjoyed all 3 books in Lisa Wingate's series, and each once I thought could not be better than the first but they have all been! I love the Moses Lake setting and how Lisa has created this community that is so real and comes alive in her stories. Mallory may just be my favorite character in this series as well. She is down to earth, and "normal" - a flawed human being trying to navigate through life admist pressures from work and in her personal life, be successful and be happy while not losing her mind and herself in the process. This was a fun story to read and filled with love, adventure and some mystery - all elements to a great read in my opinion!